When I saw this recipe's ingredient list I decided these were muffins with an identity crisis. No self-respecting muffin (that might be the best phrase I've ever written) would permit itself an indulgence of quite so much sugar, and yet no self-respecting cupcake would fathom being seen without a frosting hat. And so, cuppins, with this year's last monster zucchini. Preheat oven to 350 degrees F. Spray 24 muffin cups with non-stick spray or line with paper liners. In a large bowl beat the eggs, then beat in the sugar and oil followed by the cocoa, vanilla, and zucchini. Stir in the flour, baking soda and powder, salt, cinnamon, cloves, and allspice. Mix until just moist. Scoop batter into prepared cups 2/3 of the way full. Sprinkle tops with topping mixture. Bake at 350 degrees F for 20-25 minutes. Remove from pan and let cool completely before serving. Store covered and refrigerated. Sewing escapades have continued. My machine and I are beginning to understand each other. I no longer rev it like a dragster every time I begin stitching, and it has rewarded me with fewer thread breaking and bunching shenanigans. I managed to make my older kids some fleece slippers with grippy bottoms, so I'm basically a cobbler now. I followed this lovely little set of instructions, and it was truly a wonderful beginner's project. Each pair took me about an hour total. 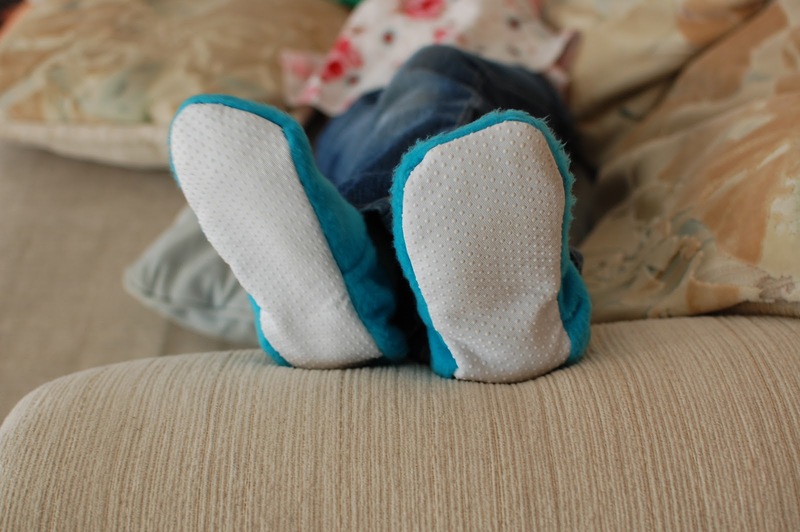 Gotta love a slipper you can throw in the washing machine! After finishing the slippers, I decided to try something a little more ambitious, so I started a mei tai. 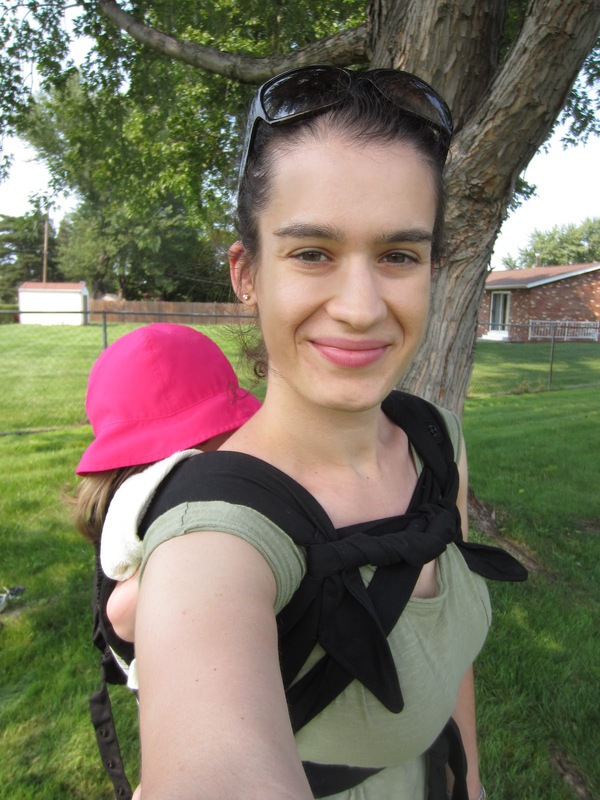 Yes, I know, if you read my babywearing post I claimed not to like mei tais at all. Well, during a Toys R' Us clearance event I picked up an Infantino mei tai for $1.35, and have actually really enjoyed using it. Whether that's because I'm just fickle or it's a better fit for us than the Catbird one I had when my daughter was born, I don't really know. But I enjoy that I can get a more wrap-like weight distribution (a higher back carry) in a mei tai, and that it's so lightweight.